A hurricane froms over the ocean, when low pressure winds begin to rotate. 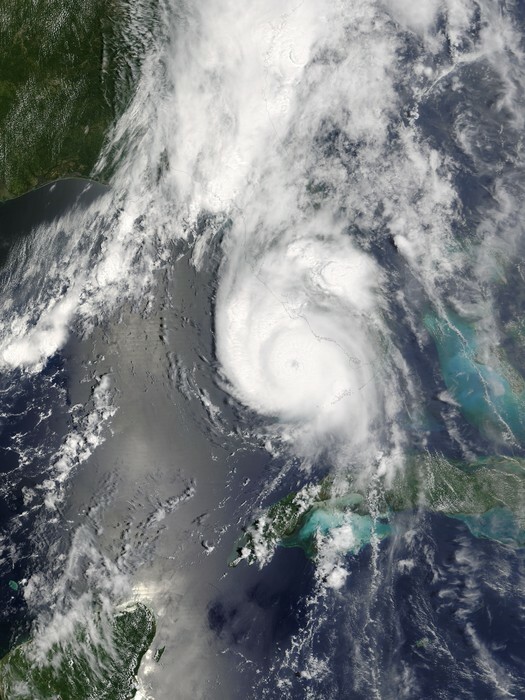 Hurricane season typically starts in mid-October. They gain strength from the moisture from the ocean or other water sources. 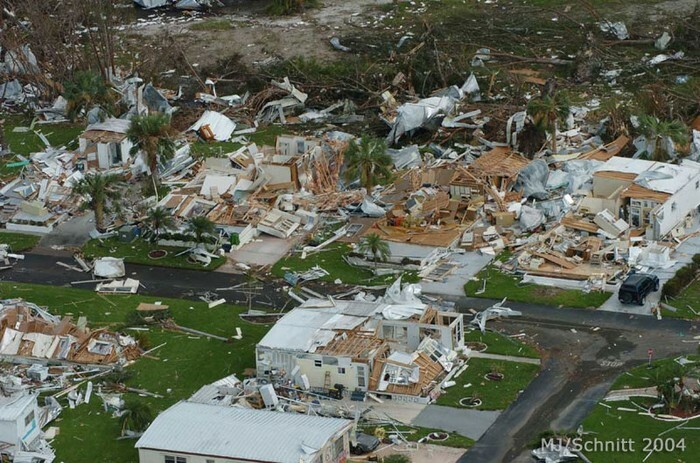 When hurricanes hit land they begain to weaken because there is less moisture. Hurricanes used to be named by numbers but now they use the letters of the alphabet. They rotate names every six years, unless they are bad hurricanes. A category determines wind speed. They use a scale called the Saffir Simpson Hurricane Wind Scale, which categroizes numbers from one to five, with five as the worst. The image to your right is a satellite image of Hurricane Charley. It shows that the hurricane is moving toward land. My famous hurricane is named Charley. Charley formed on August 9th, 2004 and made landfall between the 10th and the 14th in many different places. Hurricane Charley hit Cuba, Florida and the Dry Tuges with high wind speeds. Charley's highest wind speed was 150 miles per hour, making it a category 4. It coast the U.S. 15 billion dollars which made it the second costliest in the U.S. history. All together Charley caused 15 deaths. Charley was a small hurricane and still caused a lot of damage, so always take all hurricanes serious. To the right you can see some of the damage Charley did. I am sure this town has come back from that year, but they had no clue what had hit them at the time. This is a tracking map of Hurricane Charley.Charley work his way from Cuba all the way to the cost of North Carolina.